Growing old is not a particularly fun thing for most of us. One of the drawbacks to the aging process is what it does to our physical appearance, namely our skin. Wrinkled, spotty, sagging skin is the result of normal aging. There's nothing wrong, however, with trying to make ourselves look younger, and often that starts with rejuvenating the skin. Say hello to hyaluronic acid, a substance naturally present in our bodies and found in skincare products that have been shown to be remarkably effective. Our skin consists of three layers – from outer layer in they are the epidermis, dermis and subcutaneous tissue. When we hit our 20s, we run into a decades-long process in which our skin eventually loses its elasticity, gets rougher, develops lesions, slackens, and becomes more transparent, more fragile and more easily bruised, as webmd.com points out. Not a lot of good news there. 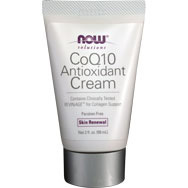 A variety of factors can affect how our skin ages, beyond what is considered the normal aging process. Some of those we can control, others we can't. In the former category that includes lifestyle, diet and bad habits (i.e., smoking, which can produce destructive free radicals). Then there are other common factors such as the sun (although we can limit our exposure) as well as pollution and the loss of the fatty tissue between our skin and muscles. Stress, gravity, daily facial movements, obesity and sleep position also have a role. If there's one characteristic about hyaluronic acid that truly sets it apart, and earns the praise of dermatologists, it's its capacity to hold up to 1,000 times its weight in water, which has earned it the description of a "cellular sponge." Strictly speaking, though, when medical science traditionalists think of HA, they see it as a medicine extracted from rooster combs or created in a lab with bacteria and used for certain eye surgeries (such as cataract removal and corneal transplants) and for some joint disorders. No matter, many physicians and dermatologists will recommend HA for patients seeking glowing skin and a better skin texture. It does this by reducing loss of water in the skin. 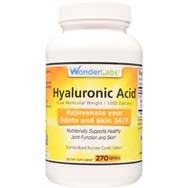 Hyaluronic acid's enhancing effects aren't immediate, though. You won't go from smile-lined Granny to Cover Girl model in the time it takes to apply an HA-laced skin cream to your face. Most research says it takes at least six weeks for improvements in skin appearance to show up, although other studies, per draxe.com, say that anti-wrinkle HA serums and eye creams can start making a difference in two to four weeks. "When applied topically to the skin, hyaluronic acid holds water to the skin surface to increase hydration of the cells and surface, without occlusion (blockage)," says New York board-certified dermatologist Jessica Weiser, quoted at huffingtonpost.com. "This moistens the skin surface to alleviate dryness, facilitate healing and create a protective barrier." That's certainly good news for those of us who have plenty of skin in the game when it comes to dealing with the aging process.